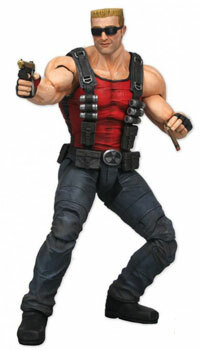 From the long awaited Duke Nukem Forever videogame, comes this brand new highly articulated Duke Nukem action figure. Duke stands 7" tall and comes with his trusty 1911 pistol and a cigar. Features over 20 points of articulation. Clamshell packaging. Final size and sculpt subject to change. 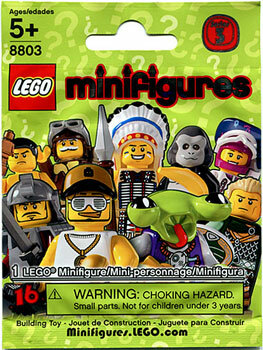 LEGO Minifigures Series 3 - is now Available - Buy only 1 or buy more than 5 and SAVE! Its a whole new collecting game now! Here comes the best part of being a ToyDorks Viewer/Client. 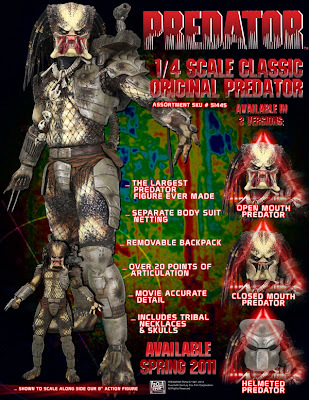 We here at ToyDorks.com are giveaway the up and coming Quarter Scale Classic Original Predator that is arriving in March. 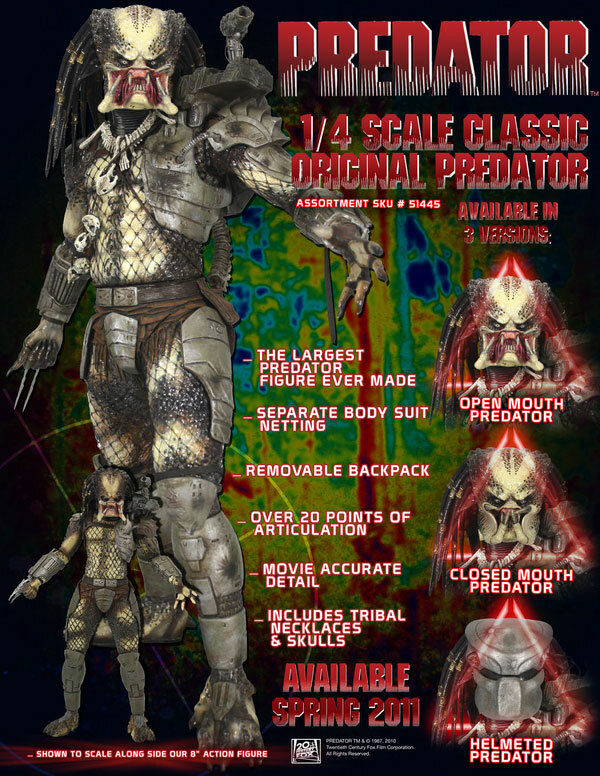 As of Feb 21st 2011 - any sales receive you will be entered in a draw on April 4th 2011 to win the 18-Inch Quarter Scale Original Predator from NECA Toys. This product is being released in March. There are 3 version of this figure, you will be able to choose which version you want. THIS CONTEST IS ONLY AVAILABLE FOR NORTH AMERICAN CLIENTS (US/CANADA) only. There is no cost in shipping this product out - we will cover it. APO/HI/AK clients are welcome. Added bonus: every 100$ you earn yourself an extra entry into the draw. Meaning you spent 150$ on an order you will receive 2 entry. 200-300$ spent? 3 Entries in the contest. This is one cool piece from NECA Toys - and @neca_toys does not disappoint. Need to fill your Titanium needs? These miniature Ships are made of of die-cast that we once knew - we have restocked a good number of them for a limited run and at a price that will save your wallet. DO NOT MISS OUT (this is your ONLY warning) - once they are gone we are going back to distributor price which might be twice what you see now. 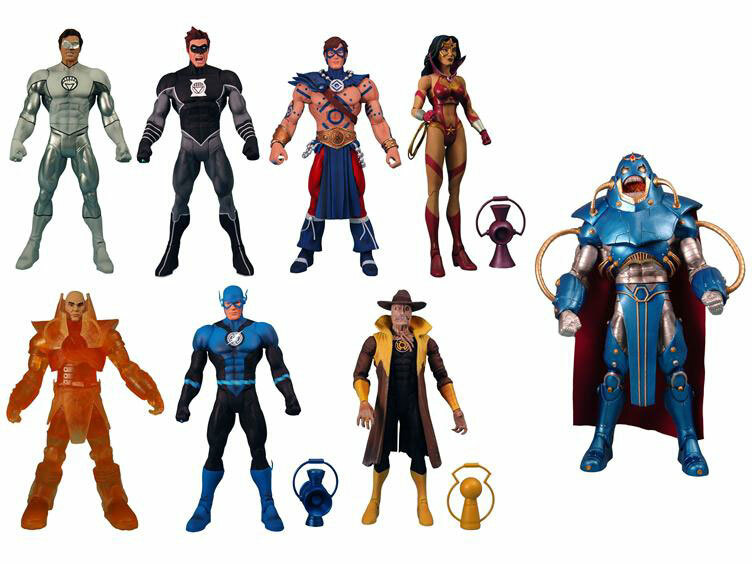 These figures are aimed toward our adult collectors, with the scale chosen to produce continuity with their existing Justice League Unlimited figures. 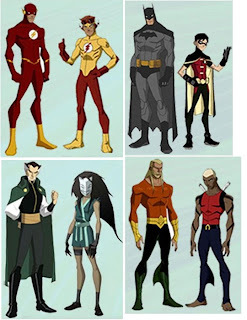 Young Justice figures will feature the same articulation as JLU, but design and styling will be inspired by the Young Justice animated series on air on Cartoon Network. Thunder, Thunder, ThunderCats Hooooo! 4” figures are based on the ALL NEW ThunderCats animated adventures as seen on Cartoon Network. Crafted with great detail and quality, collectors and kids can play or display their favorite ThunderCats Heroes and Villains in their own environment and recreate scenes from the TV show. 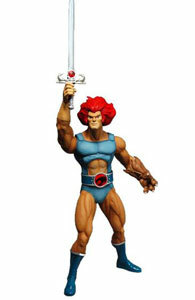 Furthermore Mezco Toyz will bring back the classic Lion-O in 14" format larger than life Mega Scale! This Week Deal of the Week are the Disney Pixar Cars Die-Cast. We have counted what we have in our warehouse and now we are offering you the chance to own these die-cast Cars from the fame Pixar Studio movie. Grab them now before the seequl hits! Peter Forsberg Announce Retirement after 13 Season. The great Peter Forsberg great combeback is now stop short after 2 games with his nagging foot injury. What does this mean? 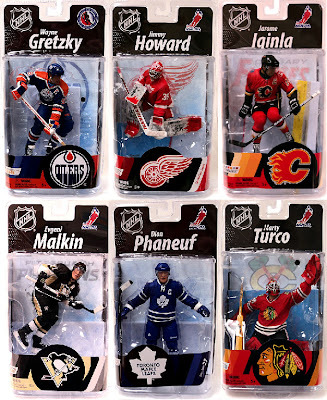 It means that Mcfarlane Toys Collectibles of Peter Forsberg might raisae in value - buy fast now or loose later! Mcfarlane Toys will get ready for Football season with these great new poses and sports pick debut of great players from the NFL - NFL Series 27 will include: Tom Brady 4, Larry Fitzgerald 2, Miles Austin, Aaron Rodgers 3, Heath Miller, Eric Dickerson, Marcus Allen (Kansas City). 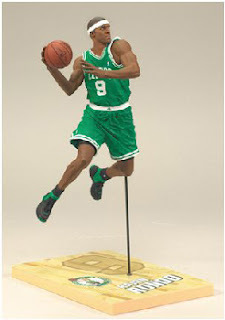 Rajon Rondo anticipated sports pick debut in NBA Series 19 by Mcfarlane Sports - we have updated pictures for March release of this great series. Just updated packaging pictures and promotional pictures for upcoming MLB Cooperstown Series 8. Coming March 2011 - Pre-Order NOW! Did Mcfarlane explore everything possible characters in the Halo franchise? No!!! Presenting in the Fall - Halo Anniversary Collection. This is Mcfarlane's way to visit the franchise long history from the studio Bungie. ToyDorks is here to please those who are searching for WWE Wrestling figures from Mattel Toys. 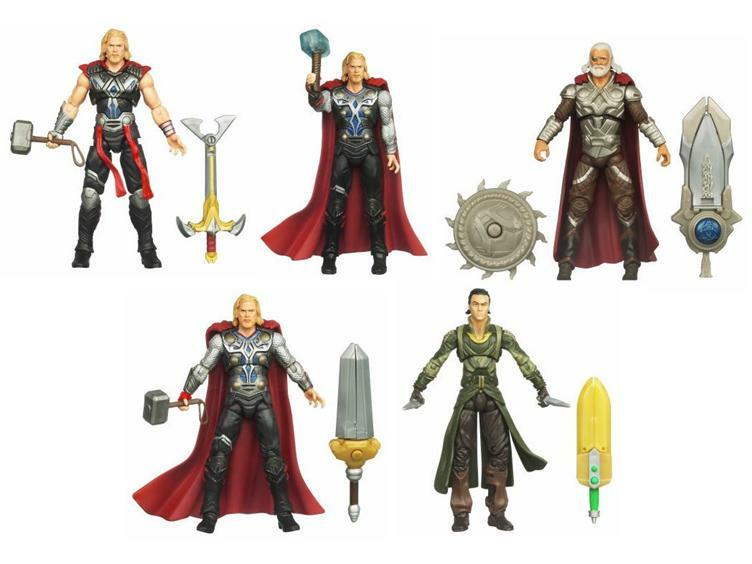 We now have available for ordering Elite Collection Series 4, Series 5 and Series 6. One of science-ficton greatest alien races - the Predators - returned this summer to theaters in the Robert Rodriguez production Predators, and now more characters from the film are yours to collect with the second series of Predators Action Figures! 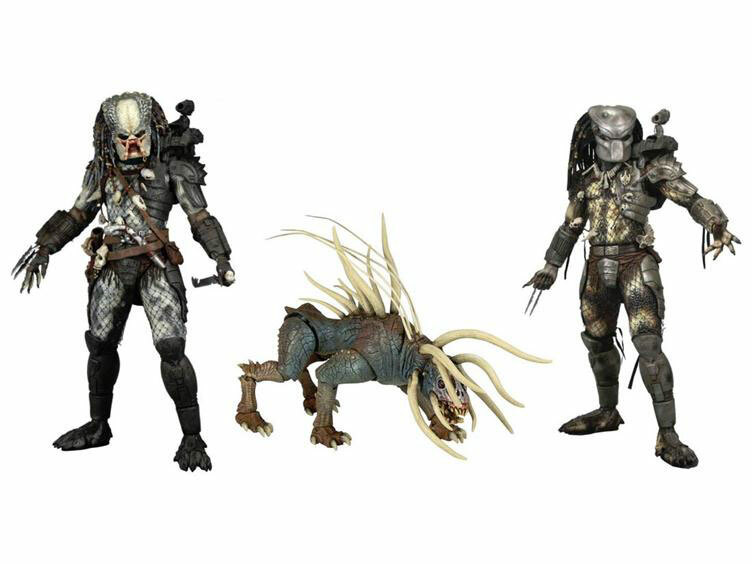 Series 3 contains: Masked Classic Predator, Elder Predator, and Predator Hound. Mcfarlane Toys Halo Reach series 3 has already been posted for preorders and announced by Mcfarlane Toys. Now we have received word that Halo Reach Series 4 will arrive in July. Figures includes: Jorge, Spartan Mark V, USNC Marine, Grunt Major, Brute Minor, Elite General. Star Wars 12" Collector Series By Kenner - RESTOCK! No matter how many vintage and 3.75" figures there is out there, Kenner 12" Collector Series is THE choice for 12" Vintage Collectibles. NOW we are offering for a LIMITED TIME (probably by monday since they goes in and out quick) the chance for collectors to grab some low price 12" Collector Series figures. Are you looking for Darth Vader? 24.95$ only! How about Ben Kenobi? Luke perhaps? 19.95$!!! 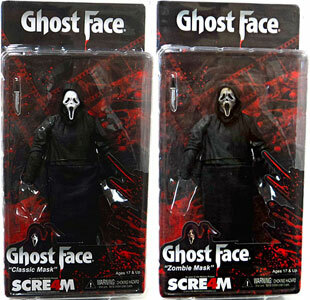 Ghost Face is back in 2011 and NECA Toys is giving it the Cult Classic treatment. 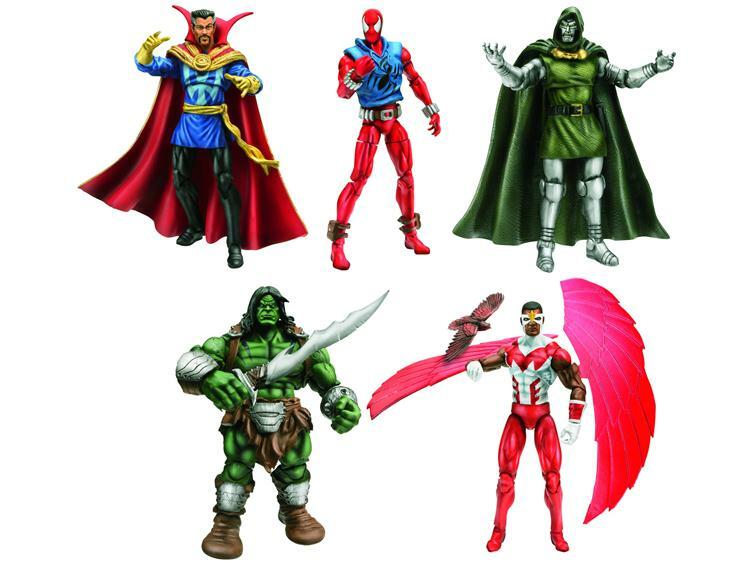 3.75" , 8", and Deluxe figures are currently available. Hasbro Toys - Captain America First Avengers Toys - May Release. 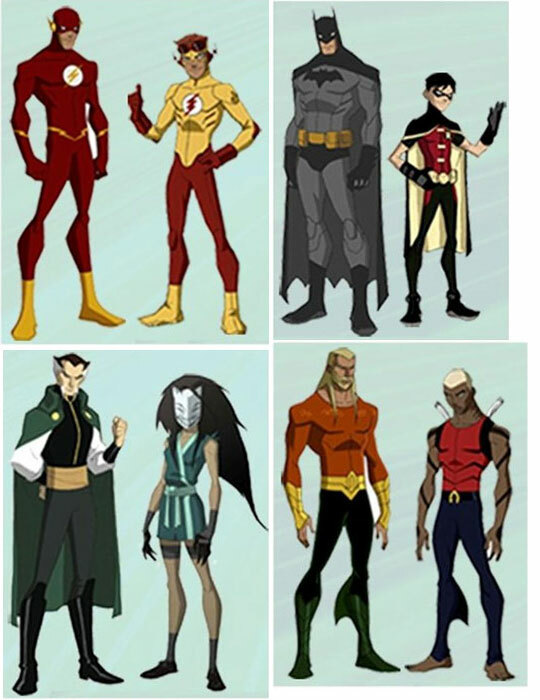 We knew it was coming but we didnt know what were the figures. 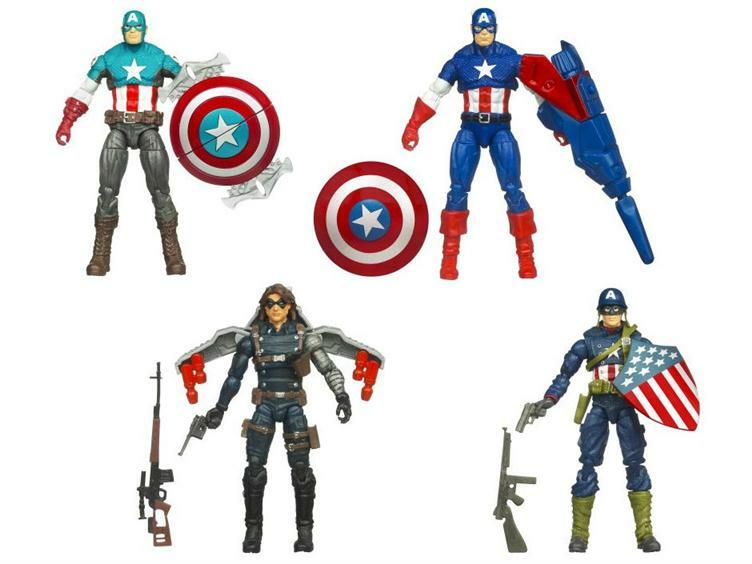 NOW we have the pre-orders for Captain America First Avengers 3.75" Figures, Vehicles, and Deluxe. 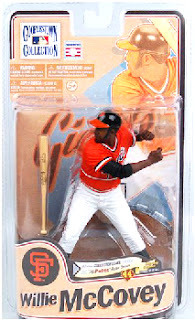 Mcfarlane Toys defines excellent high detail Sports Pick figures. 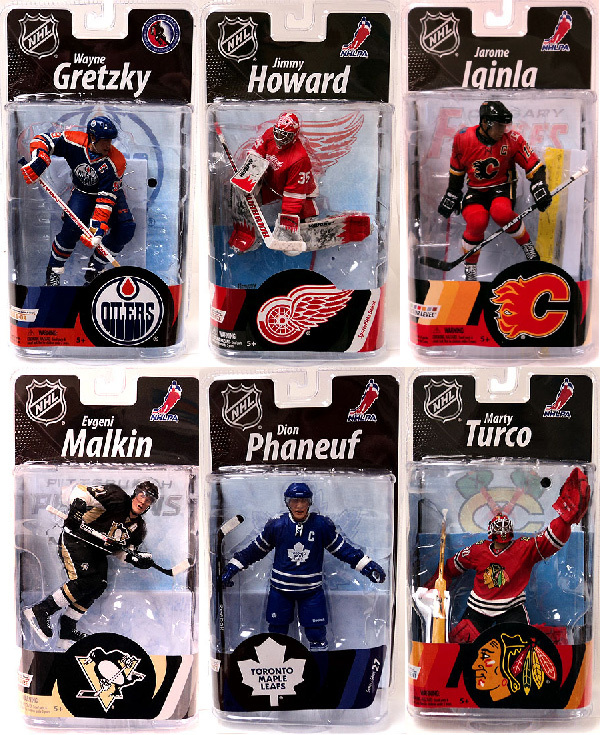 For NHL Series 28 we have 2 Goaltenders, 4 young players, and one legend.